Robert Kaufman - Bringing Nature Home: "Wild"
Part of the Robert Kaufman Mammoth Flannel Collection - Blue - SRKF-16943-4. 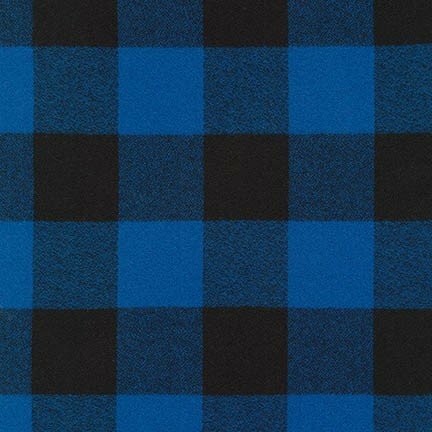 Blue and black plaid flannel. 100% Cotton; Machine Washable.